As the temperature drops, some people start to have problems related to bones. In cold they are complaining of joint pain. If you too can not enjoy the winter season because of your pain, then you need to make changes to your diet. Experts recommend drinking milk to avoid this situation but other than milk, there are other sources available so that you can keep your body healthy. You should increase the intake of things in which calcium content is high. To strengthen the bones, calcium levels in the body should be good. You should include things in your diet that are full of calcium in the body. This will give you the strength to cope with the cold, as well as the pain associated with bones. Today, we will tell you about some such foods, which will be beneficial for you in winter. You add milk to your diet. To increase its nutrients, add dry fruits to it. 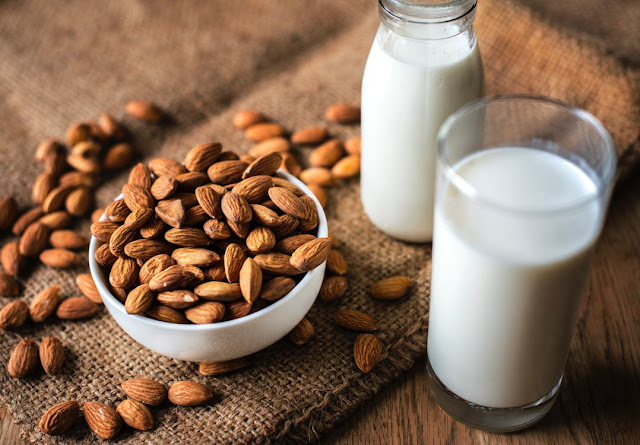 Bones are also strengthened by eating almonds because calcium is also found in it. If you do not like milk then you can fill it with other food items. You can eat paneer in winter. There is also plenty of calcium in paneer. Consumption of cottage cheese reduces the deficiency of protein with calcium in the body, which strengthens the bones. If you want to keep the original quality of cheese, do not make it in excess oil. You can grill it and eat it. If you do not like to drink normal milk then you can consume soy milk or tofu. Their taste differs greatly from the taste of milk, but they have plenty of calcium. If you add yogurt daily to your diet, they also work to protect the bones. You can eat cumin powder and salt in it instead of sugar. A bowl of yogurt contains 30 percent calcium as well as phosphorus, potassium, vitamin B2, and B12, so if you do not like milk you can eat curd. Vitamin D is also present in the orange juice. But try that the amount of sugar in the juice is not high. Vitamins present in fish also help to keep the problem related to bone. Egg meal in winter is also very beneficial. You can eat an egg every day as a boil or omelet. Beans are also very good sources of calcium. In a bowl of beans, calcium is up to 24 percent. Add beans to your diet to cure calcium deficiency in the body. For older people, vitamins present in mushrooms are quite beneficial. You can consume it in a vegetable, soup or any other form. Apart from iron, calcium is also rich in spinach. 99-gram calcium is found in 100 grams of spinach. You can consume spinach at least three times a week. The beard is not only for the strength of the bones but also for the health of the teeth. A bowl is 40 grams of calcium in the ladyfinger. You can consume it twice a week.